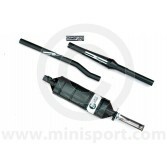 Internationally renowned for their contributions to the Motorsport & Racing communities, Maniflow are perhaps the most established Manifold producers in Britain. 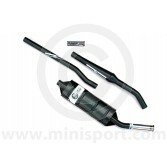 Their Exhaust Systems have been used by Formula 1 and Works teams for international success and the heritage of their brand, mirrors that of both the Mini and Mini Sport with a continuous commitment to keeping the originality of the Classic Mini alive. 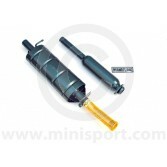 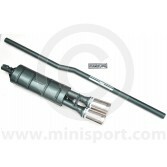 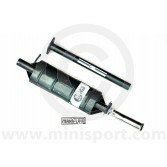 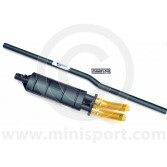 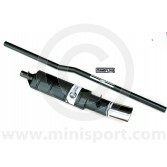 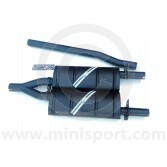 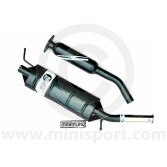 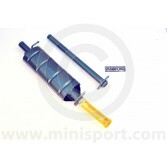 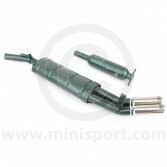 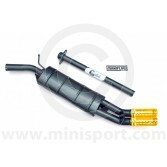 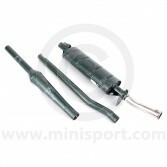 As part of our Exhaust department, Mini Sport supplies Manifold exhaust systems for that unrivaled quality and classic engineering that the Mini deserves. 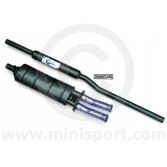 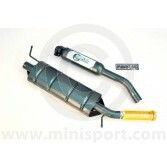 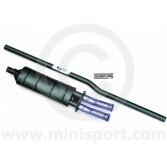 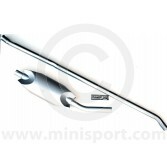 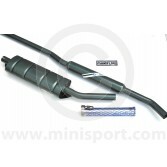  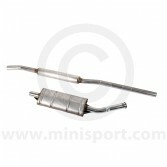 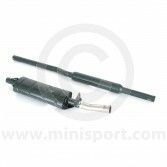 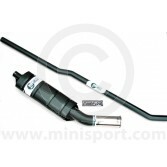 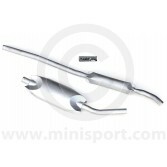 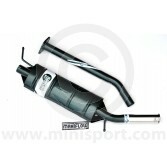 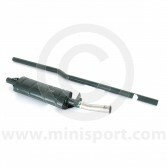 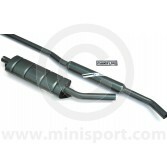 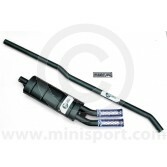 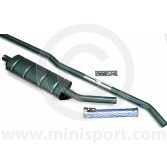 We stock Maniflow exhaust systems and parts in an extensive range of product types, sizes and styles for compatibility with all Classic Mini, Mini Cooper and Mini Clubman models. 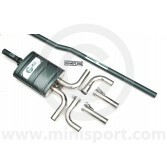 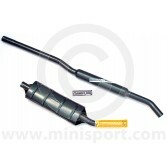 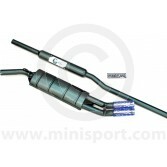 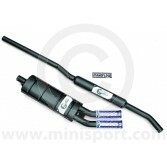 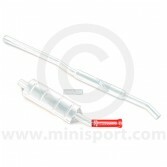 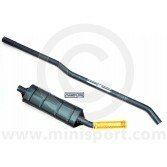 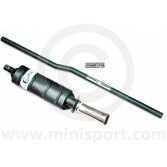 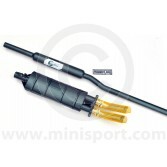 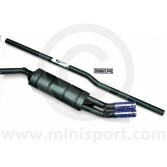 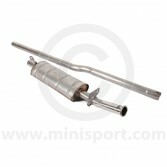 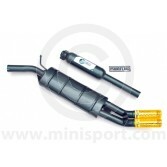 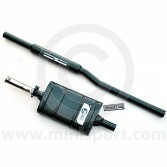 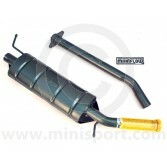 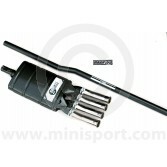 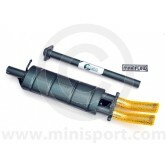 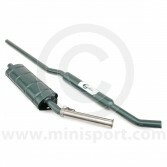 The Maniflow exhaust systems are supplied as a complete kit with an exhaust system and tail pipe ready for assembly. 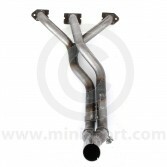 We stock the Maniflow Stainless Steel systems, the Maniflow Exhaust systems as a Single box Exhaust systems (for a classic sound and aesthetic) or as a Twin Box exhaust system (for a more subtle sound). 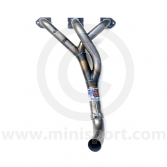 Please note: Our fully qualified Mini Sport technicians offer a complete Exhaust Fitting Service using full exhaust assemblies stocked in-house.